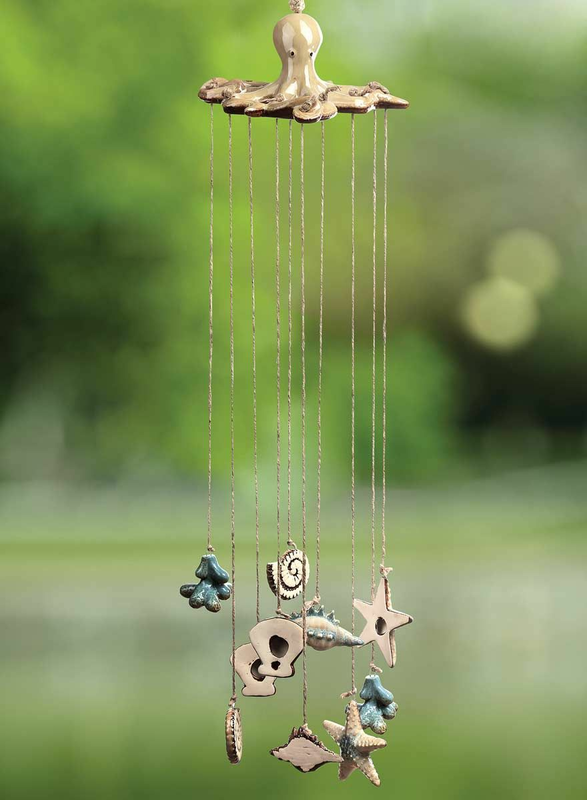 A Bella Coastal D�cor Exclusive - Ceramic octopus and shells with rustic rope. 7 1/2"Dia. x 30"H.